Hanover, March 30, 2016. An international jury has given the prestigious Red Dot Design Award to the Semperit Runner D2 drive tire in size 315/80 R22.5, awarded for its high level of design quality. The award is testament to the technical quality of the tire, which is reflected in its design. Thanks to an improved tread and compact pattern, the Runner D2 offers high mileage and low fuel consumption. 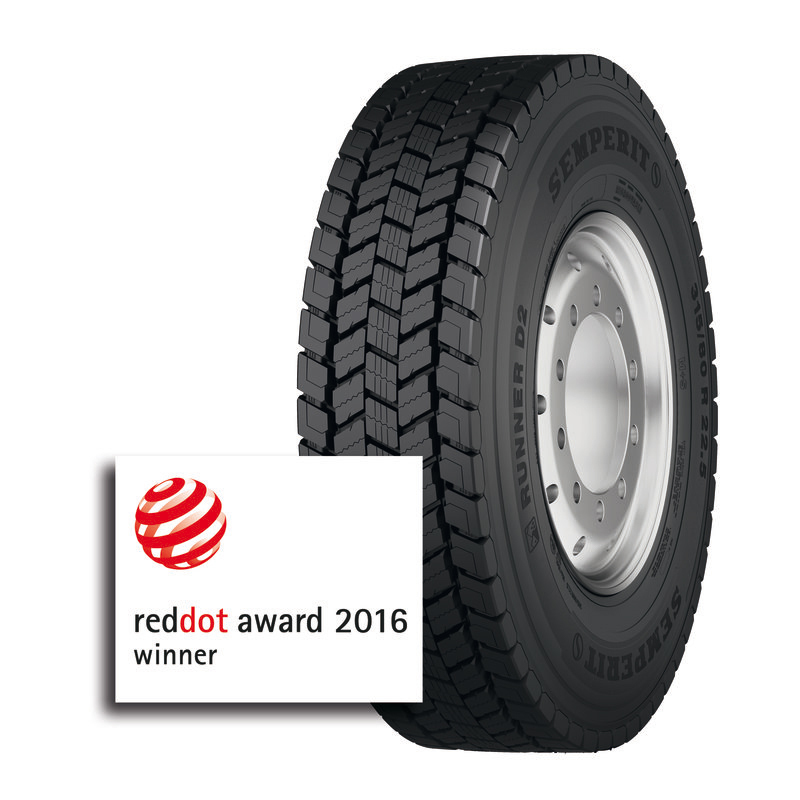 The Semperit Runner D2 drive axle tire receives the Red Dot Design Award for its outstanding construction and high level of design quality. Launched only last summer as part of Semperit's product offensive, the Semperit Runner D2 drive axle tire has now received the internationally recognized Red Dot Design Award. The 315/80 R22.5 tire was able to hold its own in the product design category in a field of around 17,000 submitted entries. 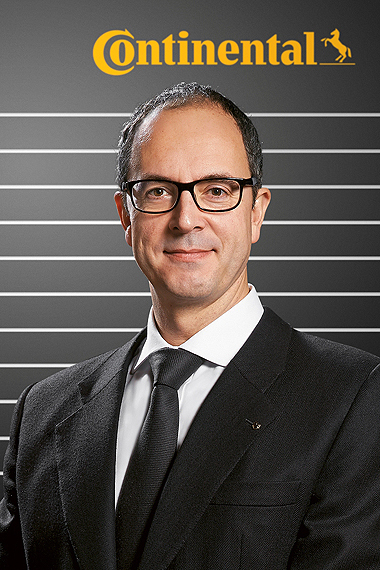 "The award is recognition from the international jury of design experts to the tire's outstanding construction and high level of design quality," rejoices Daniel Gainza, Marketing Director Truck Tires EMEA at Continental Reifen Deutschland GmbH, whose product portfolio also includes the Semperit brand. During its assessment by the Red Dot jurors, the Semperit Runner D2 scored highly in the categories of functionality, innovation, and ergonomics. "Our thanks go to our tire designers, who time and again have mastered the art of demonstrating the technical quality of the Runner tires in a Semperit-specific design. The Red Dot Design Award is also an acknowledgment of our determination to bring the successful history and rich tradition of the Semperit brand into the future, with the help of the modern Runner family and an emerging tire portfolio, despite the high price pressure on the commercial vehicle tire market" explains Daniel Gainza. 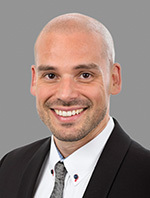 Daniel Gainza, head of Truck Tires Marketing EMEA at Continental Reifen Deutschland GmbH, whose product range also includes the Semperit brand. The Semperit Runner D2 was designed for use in both regional and long-distance transportation. Judges were impressed with its improved tread and compact pattern ("Void Optimized Pattern") that results in high mileage and optimal fuel efficiency. Thanks to a newly developed rubber compound, the drive axle tire offers significant potential for savings in fuel consumption. The reinforced bead in the tire carcass provides excellent resistance to variable bearing loads. Like all the other tires in the Semperit Runner family, the D2 is also based on a retreadable carcass.